One worrisome issue that comes to mind for me is the damage done to T-Mobile's reputation in all of this. T-Mobile already has notoriously bad customer churn (the company itself admits that the lack of an iPhone is cause for concern in this area), and this is the first time Google hasn't selected the underdog carrier as its go-to for debuting a Nexus handset. Worse yet, T-Mobile is the furthest behind of any carrier in deploying true next-generation 4G technology, with no concrete plans announced for any such investment. The company currently operates a HSPA+ "4G" network, though that technology has significant limitations in terms of signal strength, penetration, and end-user scalability when compared to LTE. AT&T is beginning a steady expansion of its own LTE network, which T-Mobile presumably would have benefitted from in the form of shared use, while also giving AT&T access to T-Mobile's chunk of LTE-compatible spectrum. While many consumer advocates bemoaned the deal as yet another example of Ma Bell trying to monopolize the telecom industry, AT&T continues to claim that the merger would have helped solved the "spectrum crunch" facing carriers looking to effectively deploy 4G mobile broadband in the US. The merits of that claim have been picked apart by many, and the "spectrum crunch" has been seen as little more than a talking point for AT&T's pleas to the FCC. But it's pretty clear that T-Mobile doesn't have a lot going for it right now - with no next-generation 4G plan announced, no iPhone, no Nexus, and the smallest subscriber base of the US's "big four," it's hard to find bright sides to this collapsed deal. Subscribers may cheer at the failed financial incursion of the oft-demonized AT&T, but I think it's safe to say T-Mobile's boardroom isn't exactly the happiest place on earth right now. "Earlier today, AT&T terminated its definitive merger agreement with Deutsche Telekom to acquire T-Mobile USA. This is the right decision for consumers, competition and innovation in the wireless industry. From the beginning, Sprint has stood with consumers who spoke loudly and clearly that AT&T’s proposed takeover of T-Mobile would create an undeniable duopoly that would have resulted in higher prices, less innovation and fewer choices for the American consumer. Sprint commends the Department of Justice, the Federal Communications Commission and the bi-partisan group of state attorneys general who gave voice to the concerns of consumers across the country. We look forward to competing fiercely in the robust, competitive market that exists today and continuing to deliver the world class service and products that consumers have come to expect from Sprint." DALLAS, Dec 19, 2011 (BUSINESS WIRE) — AT&T Inc. said today that after a thorough review of options it has agreed with Deutsche Telekom AG to end its bid to acquire T-Mobile USA, which began in March of this year. 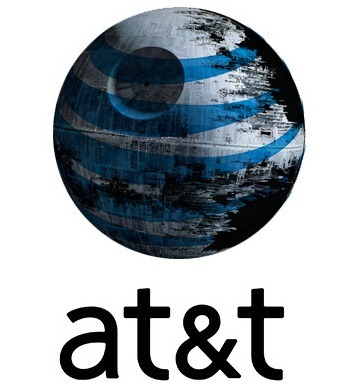 “AT&T will continue to be aggressive in leading the mobile Internet revolution,” said Randall Stephenson, AT&T chairman and CEO. “Over the past four years we have invested more in our networks than any other U.S. company. As a result, today we deliver best-in-class mobile broadband speeds — connecting smartphones, tablets and emerging devices at a record pace — and we are well under way with our nationwide 4G LTE deployment.